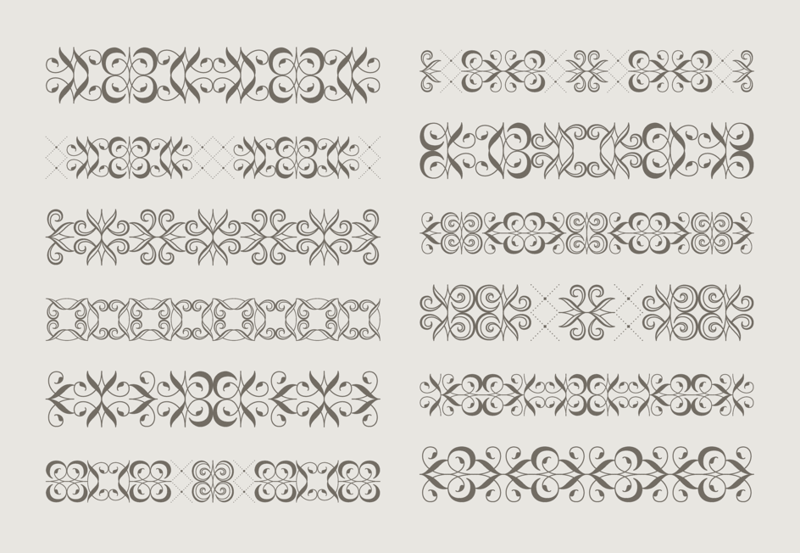 Hoefler Text Font Features: Arabesques & Patterns | Hoefler & Co.
Central to the Hoefler Text Fleurons font is a set of interlocking ‘arabesques,’ capable of generating an infinite number of repeating patterns. Among his many achievements, the virtuoso punchcutter Robert Granjon (c. 1513-1590) is credited with the invention of the ‘arabesque’ printing type, which used in combination could convincingly imitate the look of florid hand-engraved ornamental borders. Granjon’s genius was in distilling the intricate tracery of these patterns down to a small number of repeating elements, which could be locked together in an astronomical number of ways. We used Granjon’s system, and reduced the arabesque down to just two basic shapes — an s-shaped leaf, and a spiralling one — each of which is rendered in both a solid and an engraved form. All four pieces are provided in eight different orientations, all built on the same grid, allowing them to be fit together in countless ways. Borrowing from the renaissance tradition, arabesques can be attractively bordered with rules, in creating ornamented title pages; dropping them out of a solid background heightens their illustrative qualities. Renaissance printers used arabesques in a variety of ways. At left, a headpiece is composed of arabesques, proportionate to the size of the title. 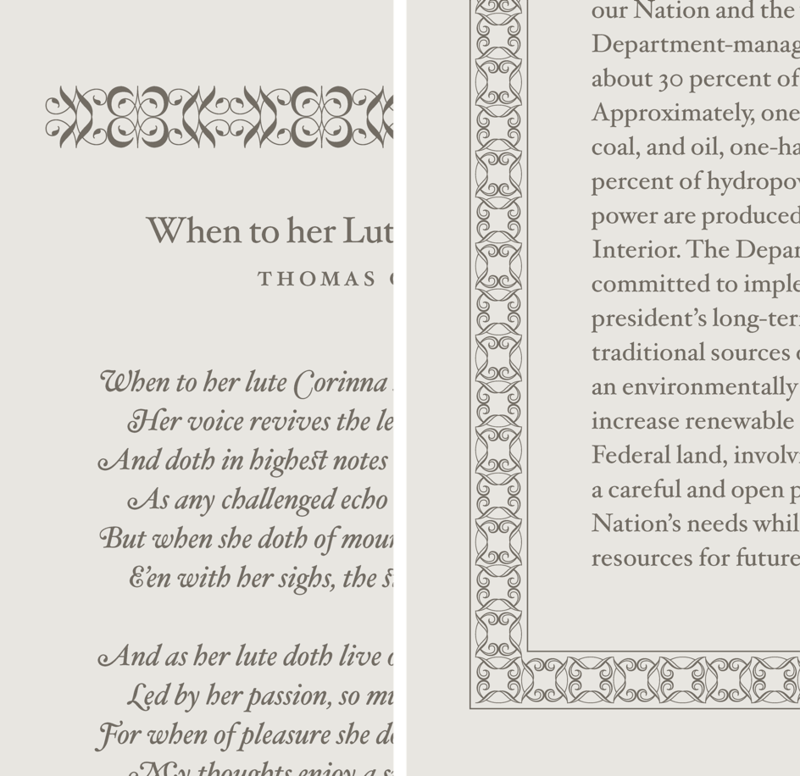 At right, an ornamental border uses a larger size of the engraved arabesques, contained within a pair of hairline rules, in order to create a framing device that complements the text without overwhelming it. 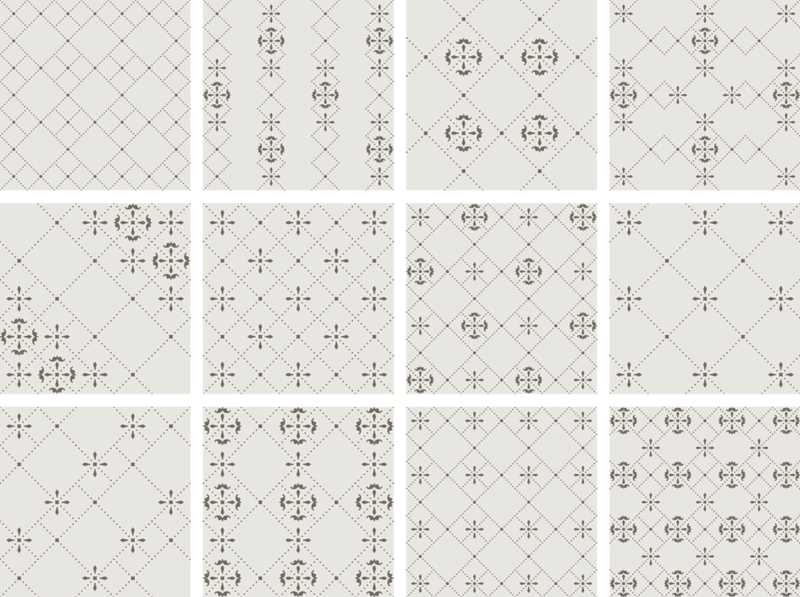 A similarly endless number of patterns can be made from the pattern tiles included in the Hoefler Text Fleurons font. 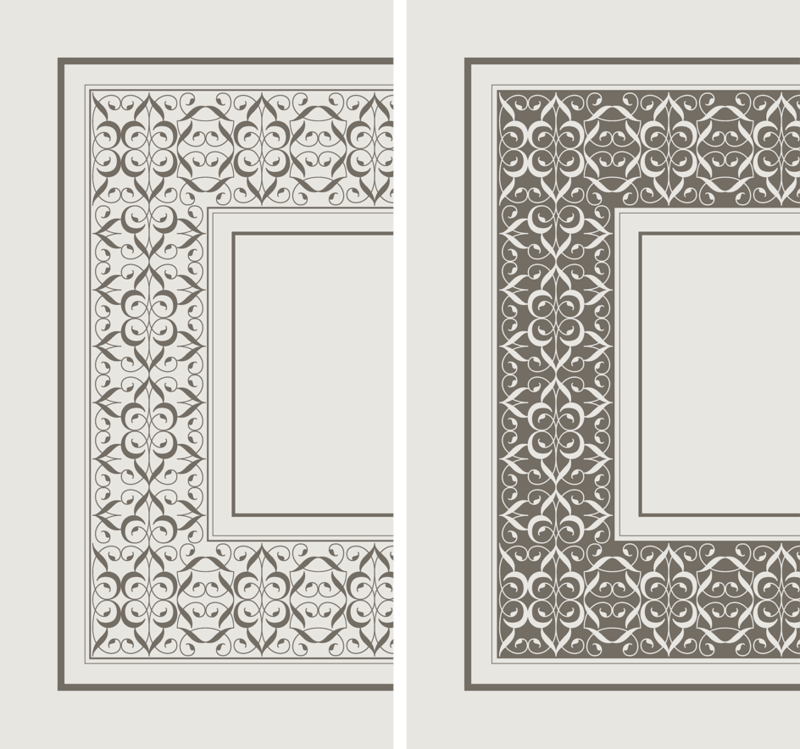 Each of the patterns above relies on just three different pieces, each of which has been designed to work at almost any scale.